This week saw us filming the prototypes for one of our clients, Chaco, that meant two days with a studio full of people, cameras, lights, product models and as it turns out, a huge amount of extra radio waves. This is a visualisation by Phil Wright who is working with us. 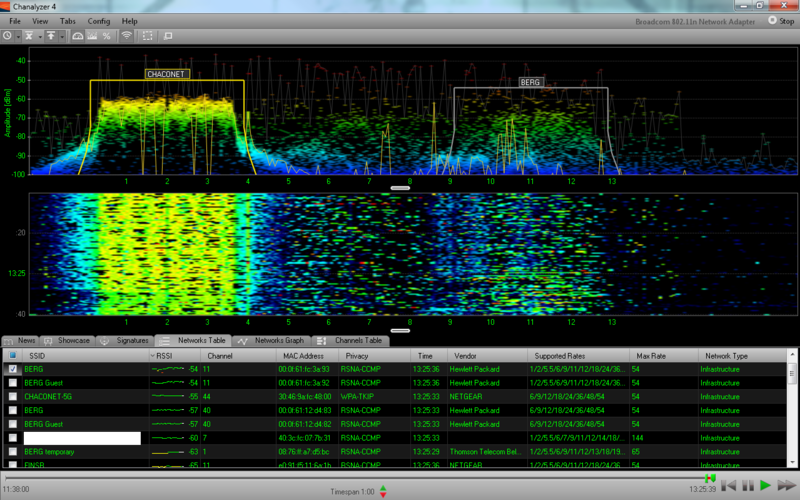 It shows the usual BERG wifi network versus the monstrous chunk of the spectrum taken up by the ‘CHACONET’. That’s what happens when you have experience prototypes that use four wifi phones, two wireless baby monitors and eight bluetooth connections. 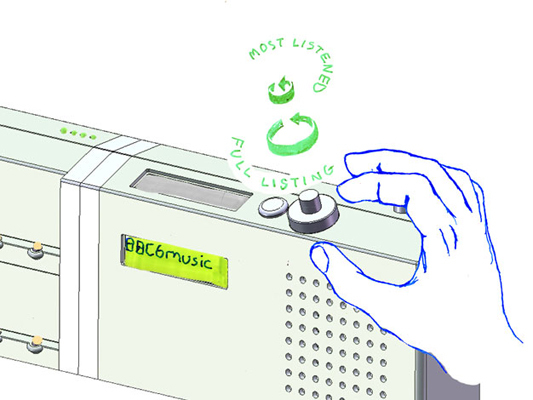 I’m pleased to be able to bring you Olinda, the social radio prototype we’ve designed and built for BBC Audio & Music. For background, photos and more, check out Olinda. A couple of months back I visited Tom and Durrell at Luckybite to discuss some of the Olinda development. 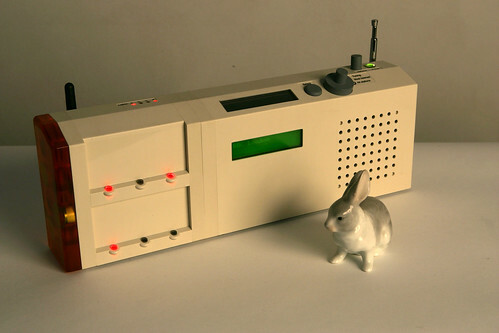 During our conversation, Durrell described one of his favourite portable radios, the Bang & Olufsen Beolit 600. I bought one. The range was produced between 1971 and 1981 and aside from its elegance and good audio quality, the detailing is very deft. 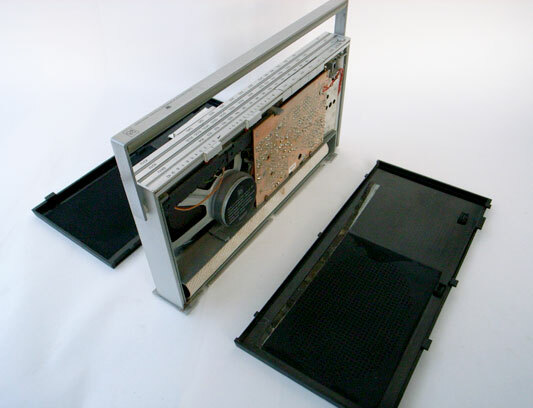 The chassis is constructed from aluminium strips, holding plastic shells front and back. 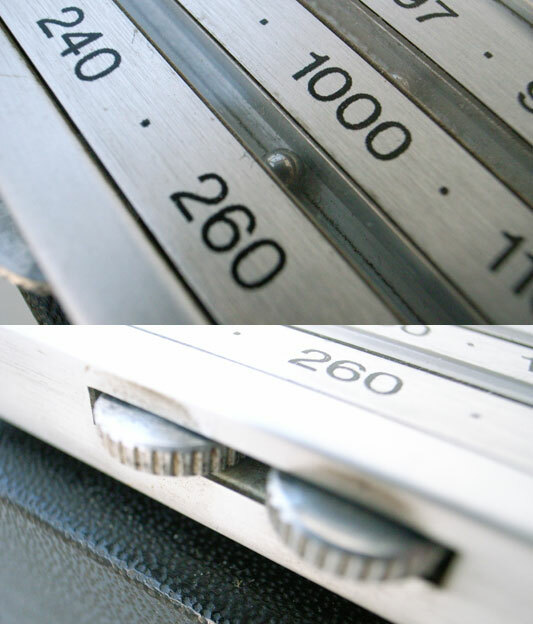 The controls for the radio are spread out along the front and back edges of the top face. On the back edge are buttons for band selection and two sliders for volume and tone. 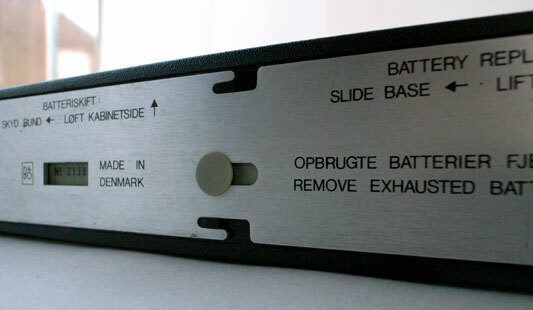 The entire front edge is a horizontal tuning slider. Two very small steel bearings sit in covered grooves in the aluminium chassis, one for each tuning band. 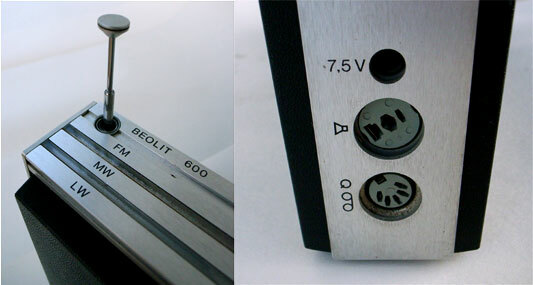 The tuning slider conceals a magnet, which drags the bearings along the scale inside their grooves (the aluminium is of course unaffected by the magnetism). 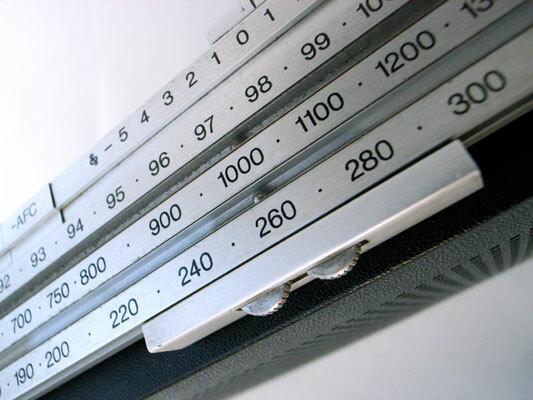 The position of the bearings corresponds to markings on the surface of the radio which indicates the frequency the radio is tuned to. It’s a really nice example of celebrating functionality. There is no functional need for the bearings. The additional cost to develop and manufacture can’t possibly have made financial sense. Why not use an arrow? But tuning is what radios do, and something which articulates this most familiar function so poetically just had to be done. I love how the furthest bearing twitches along more slowly than the closer one. 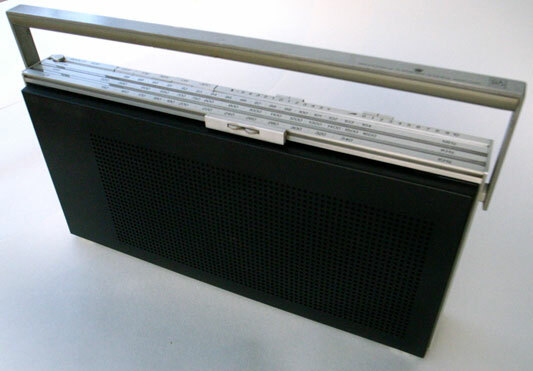 Structurally the radio is a square of four lengths of extruded and cut aluminium, with the front and back plastic shells tucked in. What’s exciting is that taking the radio apart isn’t work: there are no machine screws or self-tappers. 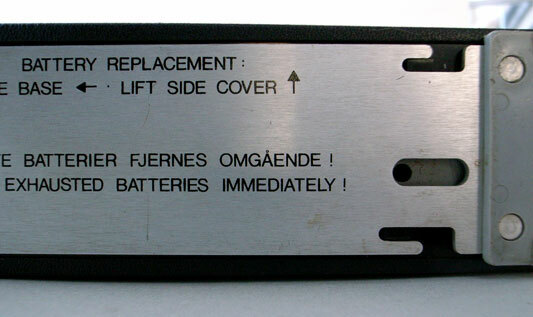 The base plate of the radio can slide. Sliding it a little way first unlocks the back shell. Removing the back allows the base to slide more, which releases the more rarely removed front shell. All this is achieved with a clever system of grooves and nooks. Coming off first, the back shell gives access to the battery. The front shell reveals something else. Inside the front shell, there is a little envelope. Inside the envelope there is a piece of folded paper. 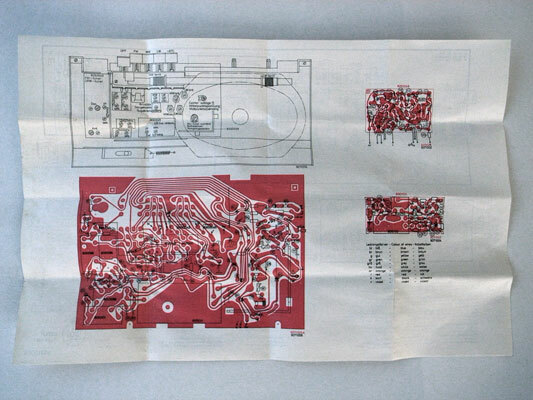 Screen printed on the paper are all the instructions for repairing the radio. 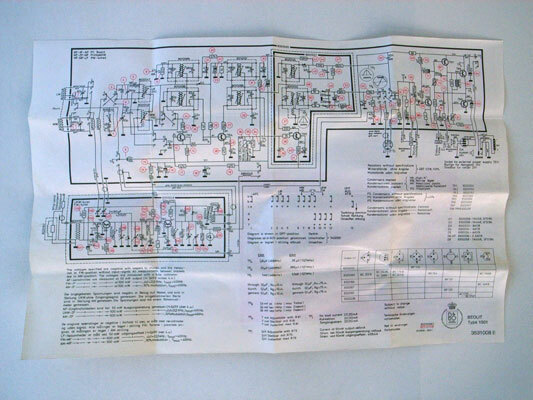 There is an abstracted circuit diagram and also an image of the actual PCB. 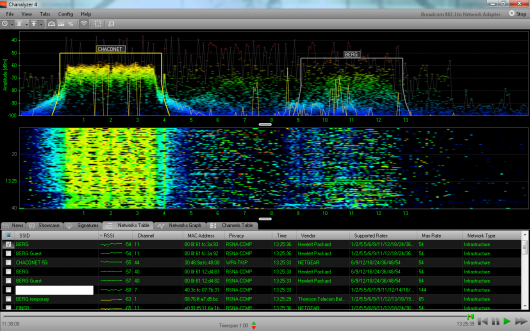 The radio contains its own data sheet, physically! 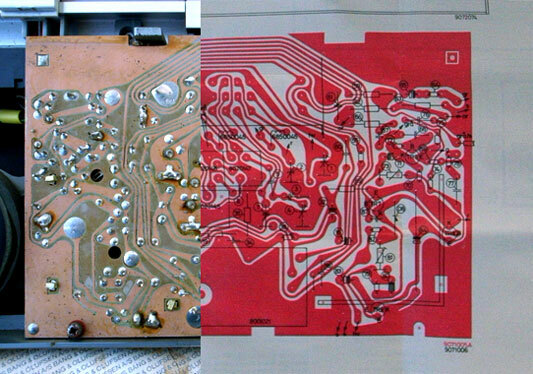 I’ve cut these last two images together to show that the PCB and the print in the diagram are to scale (the screens were probably made from the same drawing).